Threadgill emerged in the 80's as a major composer, forming a great Sextett with seven musicians, two drummers playing one part, this is a major statement from him and his band. A concept album based on the cheerful subject of death (and rebirth) as show by the cover art, in fact the music is poised between the parade ground, Afro American church, and funeral parlour. 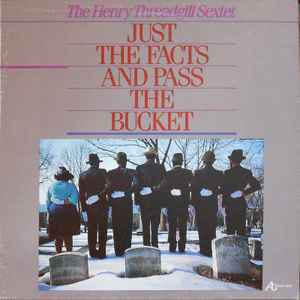 The music is highly arranged, structured and richly textured featuring ideas from marches, blues, gospel, and a strong Ellington influence on the title track "Just the Facts ....." a lovely track. Threadgill always writes to make an ensemble sound like a small orchestra, rich voicings for brass, strings and percussion. For the improvised solos check out passionate "Black Blues" a raucous Threadgill and Olu Dara a fine cornetist, imagine the whole band blowing the roof off the Baptist church.